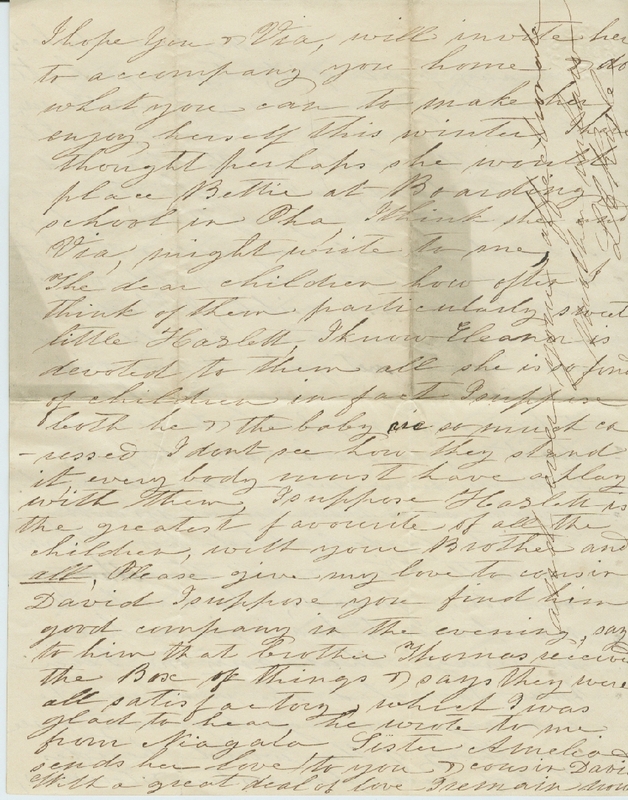 This week, Virginia receives a letter from her brother-in-law, Walter Otey. 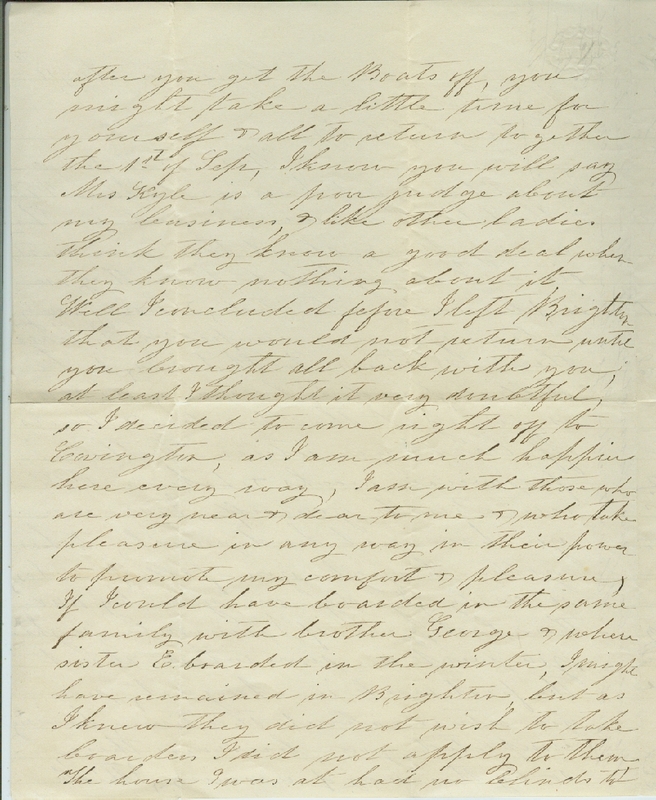 Walter is married to Virginia’s sister Eleanor (referred to as “Ellen” in this letter), and he not a very popular member of the Campbell or Kyle families. 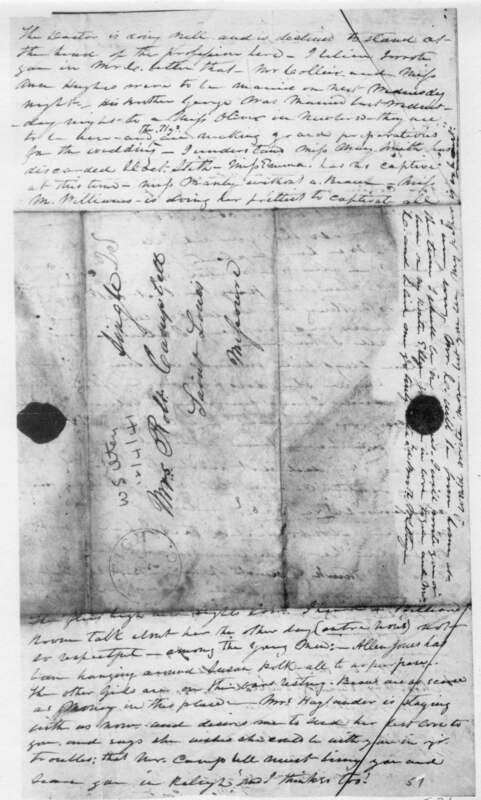 Virginia and Eleanor’s mother, Lucy, has referred to him in a letter as a “Demon clothed in human flesh,” as much for his personality as his occupation as a slave trader. 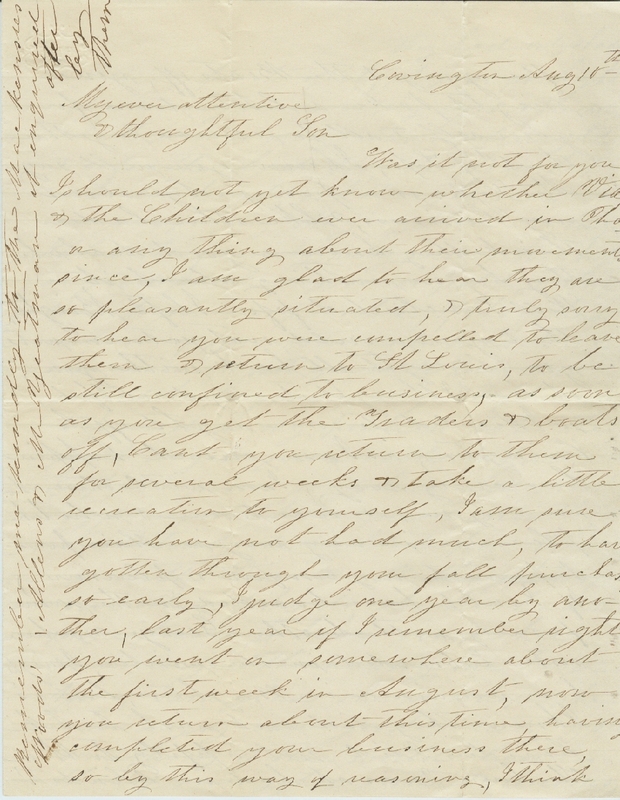 Take a look at this letter — what do you think of Walter? Your letter dated the 18th Novr is to hand and find us all in the enjoyment of good health after offering you our congratulations on your reported health and prosperity and future prospects of consolations – I will pass on and endeavor to detail to you some of the passing events of your native region – However I must first inform you that I wrote to your good man Mr. C. some days ago and informed him the whys and wherefores I had not written sooner and thus he has read that letter; – In consequence of a press of business – I have curtailed the list of my correspondents and only write occasionally to a few of my most particular friends. Therefore when you receive an occasional scrawl from me it may be regarded as a compliment; – I am like your husband. I have an expensive wife and must make something to support her on – and in a few more months shall have an expensive daughter if she should pattern after her mother; But I hope she will be half Otey – half Kyle – and the “balance Winston” – and I think she will pass inspection among the most fastidious. 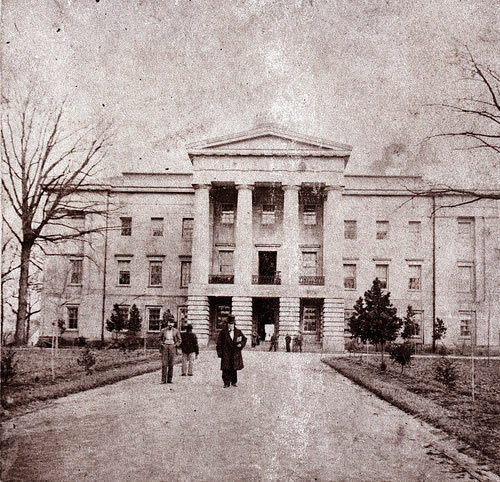 Raleigh Capitol, built in 1840. Photo circa 1861. 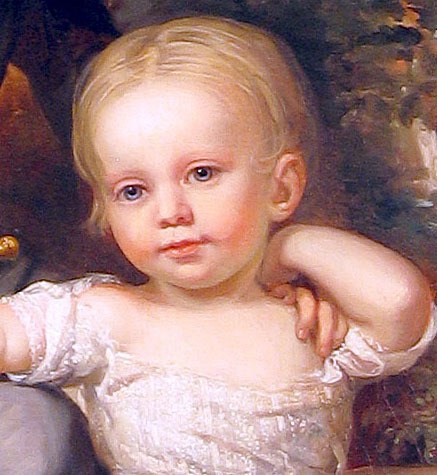 I must give you a short sketch of her Biography – It is a fact she is a most remarkable Child – and this is quite observable to all who visit us or have seen her – she cries but seldom – never I think – unless hungry or in pain – she is very hearty and healthy – she will be 4 mo. old the 15th of this month – and she now takes so much notice; plays and laughs so loud as to be heard all over our house. She can stand alone by the back of a chair – she has fair skin – my deep blue eyes – very regular and handsome features; and in general symmetry unsurpassed. Thus you see it will be complimenting you very highly to say we think she will be more like you than her Mother – I wish very much you could see her – I am going to have her miniature taken by an artist now in our city – who is said to be admirable on such executions – Well I suppose you have heard enough of Francis Elizabeth or so Ellen calls her – and I must let you know something of our movements and arrangements – I expected to have been on my way West before this some weeks – but have been detained by business – I want to break up housekeeping – and leave Ellen in Va with my relatives – until I return in the Spring – then she could spend the summer in Va and we would go west in the fall if I should be pleased and make a location – I should be in the West Janry Feby and March – back Va in April spend the summer partly – been settling up small matters and we could take our time in traveling out in the fall – I should not be satisfied to leave Ellen here during my absence. There is not a pleasant Boarding House in the place for Ladies as you are aware – and to remain and keep house alone, she could not. 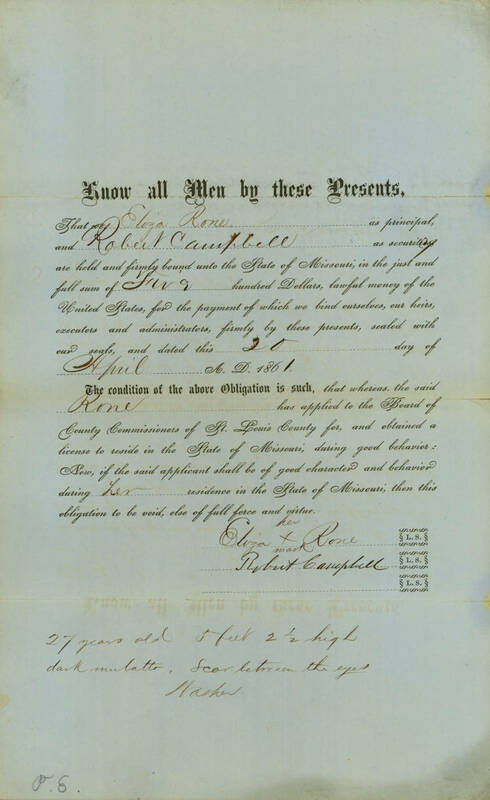 This is a most distressing situation I am placed in at all times about leaving home – and this is one particular reason I have in being so desirous to change my place of residence and if I am not pleased with the West I shall purchase a place in Va. I wish you could prevail on Mr. C to quit the Town life and let us purchase two farms near each other – so that you and Ellen could be together – We have a plenty for this life – and had we all we wanted – we can’t carry away any with us – when we pay the last debt here; – There is nothing that would conduce so much to my peace and happiness I believe – and that of us all I think. Well have you heard that Doctor McKee and Susan Battle are about to make a match of it such is the report? 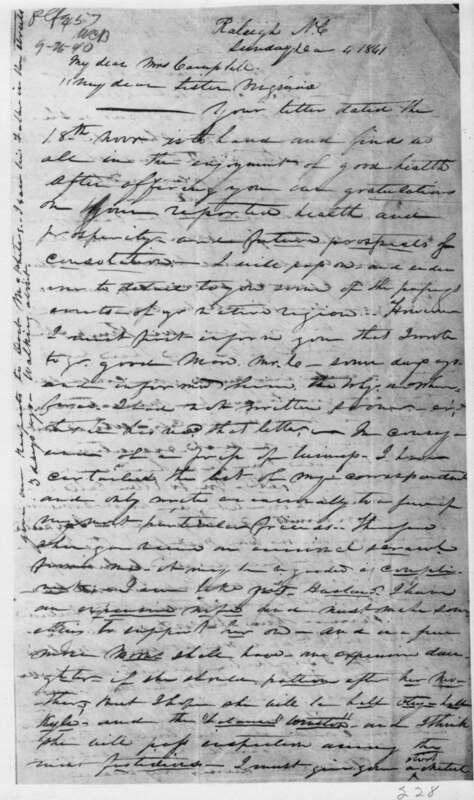 The Doctor is doing well and is destined to stand at the head of the profession here – I believe I wrote same in Mr. C. letter that Mr. Collier and Miss Ann Hughes were to be married on next Wednesday night – His brother George was married last Wednesday night to a Miss Oliver in Newbern – they are to be here – and the Hughes are making grand preparations for the wedding – I understand Miss Mary Smith has discarded Doct. Smith – Miss Emma has no captive at this time – Miss Manly without a beau – Miss McWilliams is doing her prettiest to captivate all – she flies high and sights low. I heard a Billiard Room talk about her the other day (entre vous) not so respectful – among the Young Men: – Allen Jones has been hanging around Susan Polk all to no purpose. The other girls are on their own resting. Beaus are as scarce as money in this place. 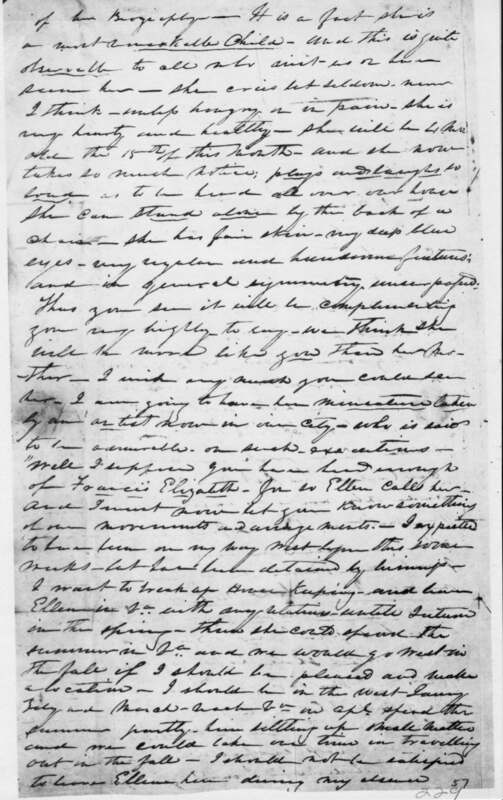 Mrs. Haylander is staying with us now and desires me to send her best love to you, and says she wishes she could be with you in your troubles; that Mr. Campbell must bring you and leave you in Raleigh; and I think so too! I would write more but you see my paper is exhausted. Give our respects to Doct. McPheeters – I saw his Father in the streets 3 days ago – walking about. 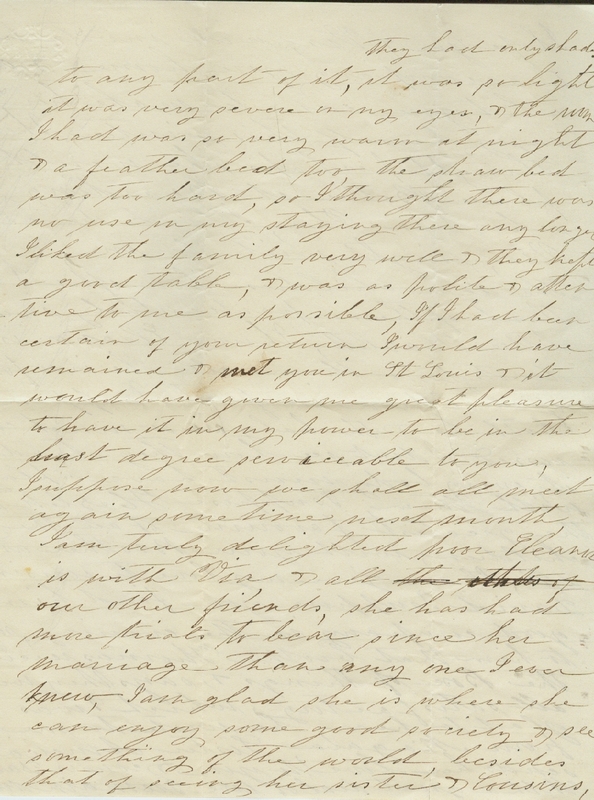 In honor of the dwindling days of the lazy summer, this week we’ve posted a letter from Lucy to her son-in-law Robert where she chastens him to get out of the office and take a vacation with the family. Lucy also expresses her hopes that Robert and Virginia will take in Virginia’s sister Eleanor over the winter because she’s had a rough go of it lately. 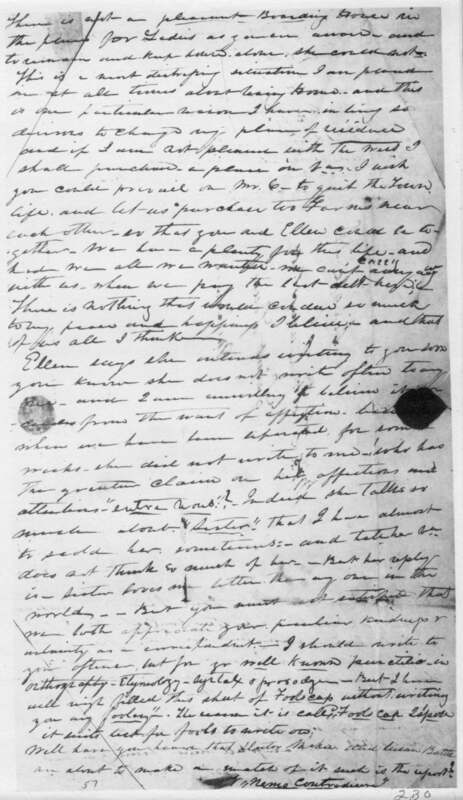 Poor thing is married to Walter Otey, a slave trader, and Lucy dislikes him so much she has in other letters called him a “Demon clothed in human flesh.” Yikes. [Pg. Break] after you get the Boats off, you might take a little time for yourself & all to return together the 1st of Sept. I know you will say Mrs. Kyle is a poor judge about my business, & like other ladies think they know a good deal when they know nothing about it. Well I concluded before I left Brighton that you would not return until you brought all back with you, at least I thought it very doubtful, so I concluded to come right off to Covington, as I am much happier here every way, I am with those who are very near & dear to me & who take pleasure in any way in their power to promote my comfort & pleasure, if I could have boarded in the same family with brother George & where sister E. boarded in the winter, I might have remained in Brighton, but as I knew they did not wish to take boarders I did not apply to them. The house I was at had no blinds too. [Pg. Break, side of 1st page] Remember me kindly to the Mackensies’ Woods’ Allens’ and Mr. Yeatman if enquired after by them.